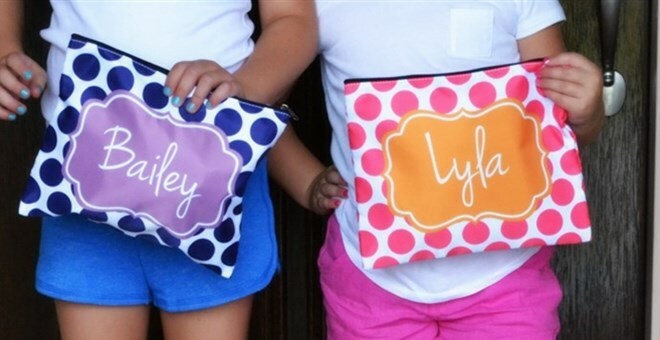 Score this XL Personalized Cosmetic Bag for ONLY $9.99 (Retail $17)! Adorable, incredibly popular (in a NEW LARGER SIZE 10" x 8") cosmetic bags in 36 darling brand new designs! 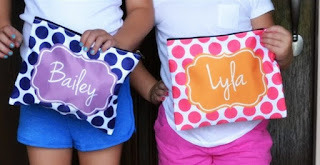 These make a fantastic gifts for friends, teachers, or YOURSELF! They are perfect for your purse or suitcase, a great way to organize cosmetics and toiletries and are adorable gifts for anyone on your list this holiday season!